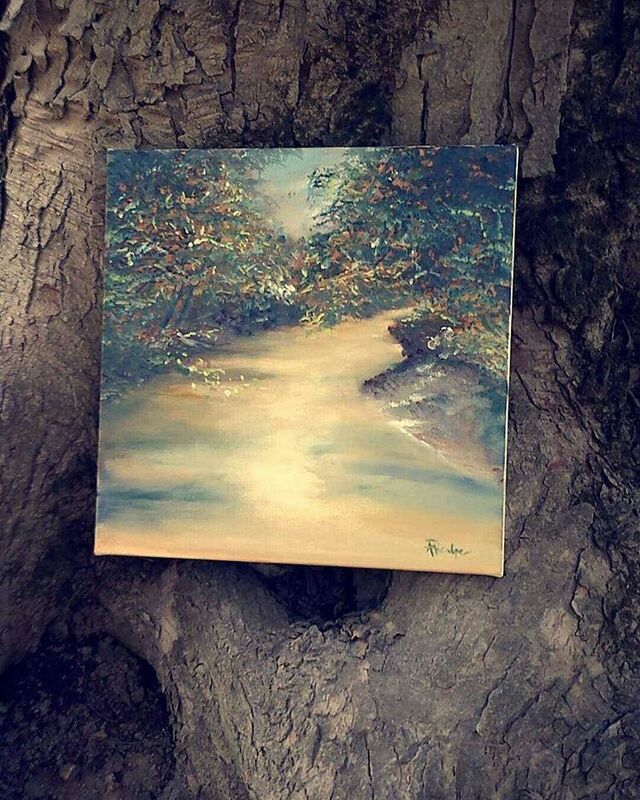 Painting with nature; where I belong. Plein air derived from a french phrase, en plein air, which means, "in the open air." It's used to describe the act of painting outside. On Saturday, I had the wonderful opportunity to paint with nature at Sydney Yates Flatwoods. I didn't have to wonder very far to find the perfect painting spot. I painted the North Branch Chicago River. This serene spot is close to the North Branch Trail and the Caldwell Woods Picnic Grove. This experience was not like any other; I felt a mixture of fear and excitement. In the studio, paintings are much more predetermined, but painting outdoors was much more liberating. Rather than focusing on the detail and filling my artwork with symbolic features, I abandoned the extensive planning and focused on capturing the beautiful scene in front of me. Not having to expect a masterpiece allowed me to be myself out there. Painting outdoors also made me unintentionally paint the effects of the sunlight. I felt like the impressionistic painters from the late 1800's out there. Painting in the field can be very unpredictable too. While setting up, I realized I forgot my palette back at home. I had to get creative, so I used a piece of aluminum foil from my sandwich and wrapped it around a piece of wood that I found lying around. It worked fairly well since I only used a limited palette (fewer colors). I also had my pup, Sofi next to me. She got tangled up around my easel a few times. Nonetheless, she was such a patient puppy. I had a few spectators gather up behind us and compliment my work. They said "my painting was very good". I thought that I would get shy about painting in from of others, but to my surprise, I focused entirely on the painting. Children were especially excited about seeing someone paint, they jumped for joy as they told their parents about my painting. This brought many smiles to my face. Overall I have to say that I truly enjoyed this experience to the max. 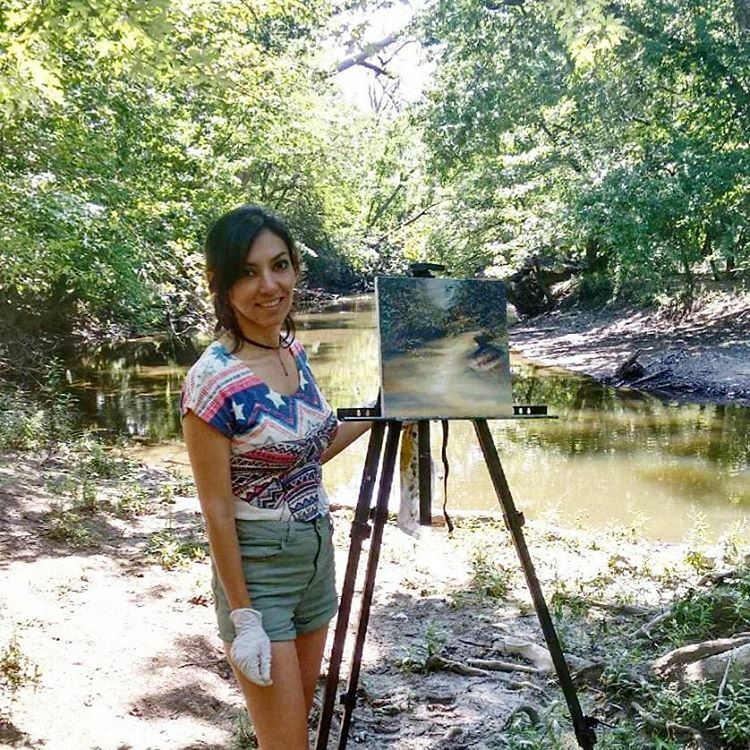 I plan on making a series of plein air paintings, so stay tuned!